Living in Illinois, I enjoy the changing of the seasons — especially loving the warmer weather for pool, golf, and lake activities. For those just getting to know me, my fiction novels are contemporary romantic suspense. These elements combined a paranormal flair make for fast-paced and page-turning books. 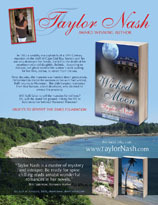 I invite you to curl up with Uncharted Depths, The Apparition, or my latest novel, Wicked Moon. 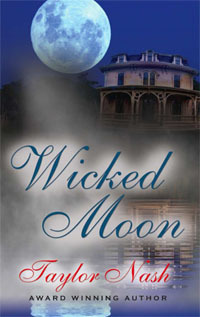 Click on the Video page to check out the book trailer for Wicked Moon and The Apparition. There are awesome recipes in Ida Kay’s Favorites to share with your family and friends. 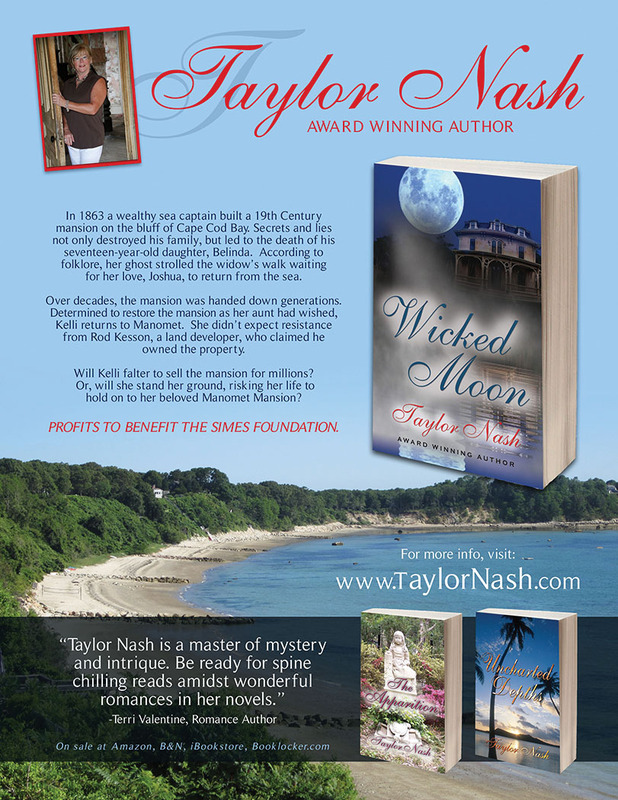 Wicked Moon was just released in Cape Cod in October and is now available for purchase via the links to the left or wherever books are sold. 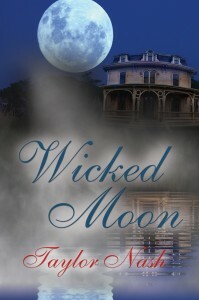 The backdrop of Wicked Moon—The Simes House. All profits are being donated back to The Simes Foundation to help in the grass roots effort to restore the inside and grounds of the mansion. 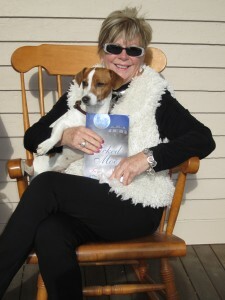 And what role does the adorable dog on my lap play in Wicked Moon—you’ll have to read to find out! In all my novels, my characters are down to earth, just like you and me, and have every day issues and flaws. Behind closed doors, they could be your next door neighbors, whose lives have been twisted by murder, lies, deceit, and greed. Please visit the other sections of my site to find out more about me; read excerpts from the books; find out how to order an autographed copy or e-book for your favorite reader; participate in contests, and read my newsletters. I treasure making new friends and would love to hear from you! Sign my guest book, visit my blog and feel free to send me an e-mail if you have any questions or comments on my books. Get the quick update on Wicked Moon! Stay connected with Taylor via the following social media options! sure to receive our quarterly email updates or periodic announcements about contests.